For use with Crystalfile® indicator tab inserts. 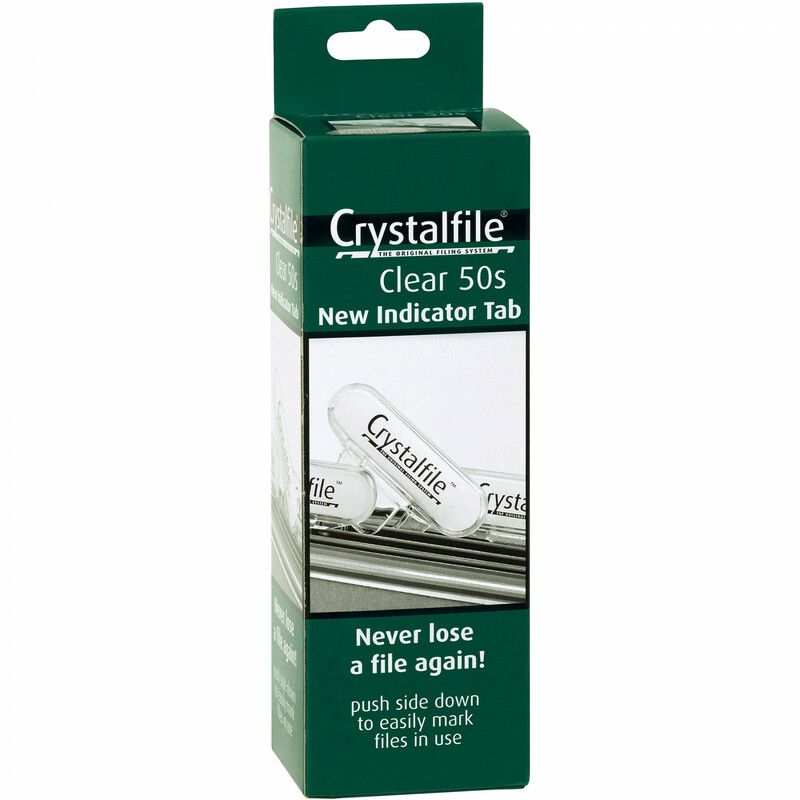 New Crystalfile® clear indicator tab: push side down to easily mark files in use. Enables easy access for refiling documents. Tabs magnify titles, making it easier to read.